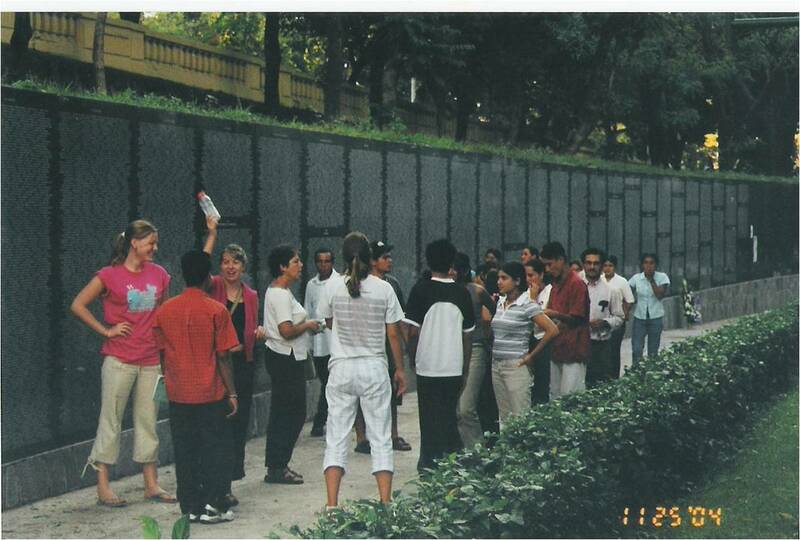 A reflection by a former delegate from First Lutheran Church of Duluth, partnered with San Antonio Los Ranchos in El Salvador. While in Los Ranchos, we each stayed with a host family, often in only one or sometimes two room homes where the whole family slept together. Instead of going there to “do” something, we went there first and foremost to learn: to exchange ideas, cultures, and dreams. Rather than simply implementing a project, this process of exchange enabled us to find our shared humanity. Even though I stayed with people with whom, by my initial impression, I had nothing in common, we ended up finding that we were all more similar than we thought. Like me, other kids my age wanted to go to college or find jobs that would enable them to support themselves and perhaps start a family. However, unlike me, they encountered much higher barriers to these things that many Americans take for granted. Every family had a relative directly affected by the drawn out civil war during the 1980s and into the 1990s. Every family had a family member who was in the U.S…., working just so that they could support their families back in Los Ranchos. Most had left not wanting to work illegally in the U.S., but had felt they had no other option. Kids my age remaining in the community wanted to go to college, but most lacked the financial means to do so. From all of this, we learned that many of the biggest problems the community faced were economic barriers to education and resulting barriers to employment. Rather than going in to fix something in the community without proper knowledge of the key problems beforehand, we were able to find out directly from the community what they needed most. As a result, First Lutheran established a scholarship fund to support bright college students from Los Ranchos who are committed to staying in El Salvador and investing in making the future of Los Ranchos more vibrant. This entry was posted in Delegations, El Salvador, General, North to South and tagged delegate reflections, delegations, duluth, los ranchos, north to south. Bookmark the permalink.